Oh Dear!! 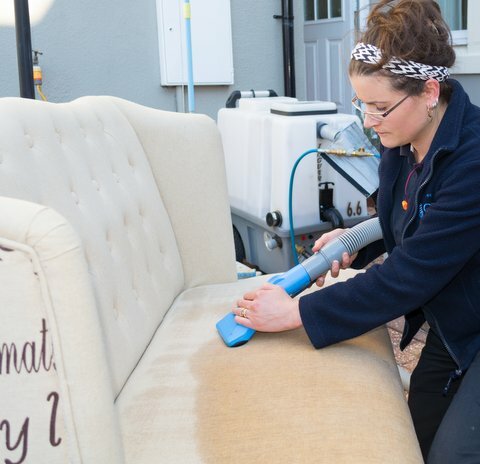 An inexperienced carpet cleaner was caught out and ruined your luxury sofa. The client went for the cheapest quote from someone who wasn’t trained or qualified. When choosing a settee or sofa cleaning company, it’s important to ask the following 4 questions. 1. How many years experience do you have? I consider this the most important question. To become a knowledgeable and skilful technician is basically, let’s face it, down to extensive training and many years experience in the cleaning of various fibres and textiles. Kevin and I have over 25 years’ combined experience and attend annual training as well as self-training in our spare time. 2. Is your work guaranteed? Guarantees are pretty common in the carpet cleaning business, yet they can come with different conditions. Remember to read the small print and be sure to ask upfront if you don’t understand something. We offer a 100% money back guarantee, so if you are not happy, then we will re-clean your carpet or sofa. 3. What sofa cleaning method do you use? We use HWE (Hot water extraction) and for the more delicate textiles, we use a low moisture or a dry cleaning method. It’s important to know how to identify fabrics properly before cleaning, to know what method is best and most importantly, one that is safe. Not doing so can be a major problem. For example, using the HWE carpet cleaning method on a sofa with high Viscose content, well I can tell you now, you might as well kiss your sofa goodbye. Most sofas do not have the material content included on the label – most frustrating! Hence, carrying out a textile test is a must. 4. Do you have full insurance? Hiring a carpet cleaning technician that does not have proper insurance is risky. If anything goes wrong then your out of pocket. We have full insurance, therefore you can have peace of mind. 18 Horses Cleaned This Stair Carpet! 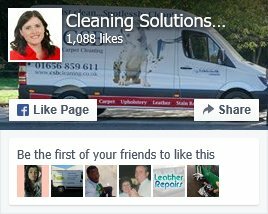 Win A Free Carpet Clean For The New Year 2016!